Today, there are less than 2,000 wild red pandas left in the bamboo forests of China, Nepal, and Burma. Their handsome coloration blends with the red moss and white lichens that grow so abundantly in the forests where they live. They feed upon bamboo (both the stalks and the leaves), berries, mushrooms, bark, and birds’ eggs. They are a small animal, seldom weighing more then 14 pounds. And like so many other species of wildlife, they are endangered. 5 million years ago, red pandas were more widespread throughout the northern hemisphere. Though Miocene age fossil sites are rare in North America, fossils of red pandas have been discovered at 2 of them. Specimens of red panda dating to the Miocene were found at one locality in Washington state and at the spectacular Gray Fossil Site in northeastern Tennessee. Skull of red panda found at the Gray Fossil Site in Tennessee. It probably ranged over most of North America during the Miocene. The Miocene aged species of red panda (Pristinailurus bristoli) is a now extinct species different from the modern red panda (Ailurus fulgens). Nevertheless, anatomical characteristics between the 2 are similar enough for there to be no doubt it was a type of red panda. Perhaps it fed on the species of bamboo (Arundirea gigantea) that still grows in the south and until the 19th century was extremely abundant in extensive canebrakes that once covered hundreds, if not thousands, of square miles. Scientists have discovered macrofossils of bamboo cane at the Gray Fossil Site. Despite the name, the red panda is not at all closely related to the zoo-friendly and famous giant panda (Ailuropoda melanoleuca). According to the latest genetic studies, the giant panda is part of a parallel sidebranch of the bear family. The red panda is in a family all by itself, located on the evolutionary tree between raccoons and weasels. Like giant pandas, red pandas have an opposable thumb for grasping bamboo, but this is an example of convergent evolution and not a shared inherited trait from a closely related ancestor. Paleobotanical studies of the Gray Fossil Site indicate a remarkable affinity with the environment where red pandas live today. The vertebrate fossils at this site accumulated between ~7 million – ~4.5 million years ago. This corresponds to a Late Miocene and Early Pliocene Age. During this era, most of America and Asia consisted of forest with a similar composition of plant and animal species. The climate was stable and mostly subtropical over most of the continents. Instead of hot summers and cold winters, like we enjoy (or not) at the present time, the seasons were separated into wet monsoon winters alternating with drought-like summers. Macrofossils of Sinomenium, a member of the moonseed family, were found at the Gray Fossil Site. This species of woody vine no longer occurs in North America but does grow in regions where modern red pandas live today. Scientists also found seeds from 3 species of grapes at the Gray Fossil Site. They determined that 1 of the species of grapes was closely related and probably ancestral to a species of extant American grape, but the other 2 were kin to Asian species of grapes. Moonseed (Sinomenium)–a woody vine that currently lives in Asia but also used to live in North America in the environment with red pandas. The forest that covered both North America and Asia then consisted mostly of oaks and pines and many of the species are still extant. Plant and animal species from both continents were very similar, and in some cases the same. The Miocene forest ecosystem in the northern hemisphere was stable and mostly continuous over both continents. When Ice Ages began to occur early in the Pliocene, desert and grassland environments expanded while the mostly homogenous forest that prevailed during the Miocene contracted. The early Pliocene was particularly dry, and forested environments for the most part may have cyclically been restricted to riverine galleries. This ecological change spelled the end of the red panda’s existence in North America and caused an overall faunal turnover that led to the rise of late Pliocene/early Pleistocene species. I was going to write a subheading about the Gray Fossil Site, but I found so many studies published since its discovery 12 years ago, that it is deserving of a feature essay on this blog. I’ll elaborate more about the site next week. Many magnificent mammals roamed the Americas during the Pleistocene but one of the most spectacular was conspicuously absent. The abscence of rhinos from Pleistocene America was for a long time an ecological mystery. 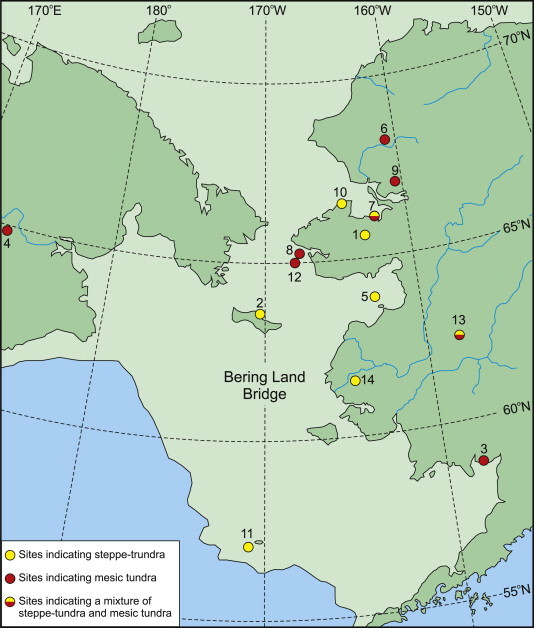 The Bering Landbridge has intermittently served as a gateway between Eurasian and American fauna. Bison, mammoths, elk, saiga antelope, brown bears, and lions crossed from Siberia to Alaska while horses and camels crossed from Alaska to Siberia. The Bering Landbridge emerges above sea level during Ice Ages transforming the Bering Straight from ocean to habitable land where this faunal interchange can take place. Map of the Bering Landbridge. Note how vast it was. It comprised tens of thousands of square miles. The southern half was good quality wildlife habitat but some species of animals, such as rhinos, could not survive on it, explaining why a certain proportion of animal species were filtered out of the transcontinental faunal exchange. Recently, some paleoecological studies of areas in Alaska and Siberia that are immediately adjacent to the Bering Straight yielded evidence explaining why some animals, such as the woolly rhino (Coleodonta antiquatatas), never crossed the Bering Landbridge. The northern half of the landbridge was likely blocked by glaciers. The southern half consisted of moist shrubby maritime habitat drastically differing from the vast grassy steppes that existed on both sides of the Landbridge. R. Dale Guthrie calls this habitat a “buckle in the belt of mammoth steppe,” a biome that existed from Europe across Asia and continued again in most of Alaska with the exception of the coastal regions. The Beringian Buckle provided a barrier for some mammals, stopping woolly rhinos from colonizing America but also preventing such American species as ground sloths, short-faced bears, American donkeys, late Pleistocene camels, bonnet-horned musk-oxen, and badgers from colonizing Eurasia. The studies also found different species of steppe-grass adapted beetles on each side of the buckle. A riparian willow habitat in the Rocky Mountains. This might have been similar to the kind of habitat in Beringia that woolly rhinos and certain kinds of grass-dependent beetles couldn’t survive in long enough to traverse, but woolly mammoth, bison, horses, and elk could. On the east and west sides of the Beringian Buckle were vast steppe grasslands suitable for woolly rhinos. However, they never could get to the east side. Artist’s rendition of the Woolly rhino. Note the size of its horn. Climatic conditions over the interior regions of the continents during the Ice Ages created clearer skies and drier conditions than occur presently in Siberia and Alaska. Temperatures were even colder than they are today, but there was less precipitation and cloud cover, creating an environment of grass interspersed with sand dunes. The greater amount of sunlight thawed the permafrost. Unlike today’s Alaska and Siberia, there were no spruce forests or any trees at all. But the Beringian Buckle experienced more cloud cover and precipitation due to the region’s vicinity to the ocean. The greater amount of precipitation and cloud cover allowed a shrubby maritime habitat to flourish, and it was quite different from the grassy steppe that covered so much of the northern hemisphere. The Beringian Buckle served as a refuge for wet tundra plants that later recolonized Alaska and Siberia and unlike the interior of the continents then, it was studded with lakes. Woolly rhinos weighed on average 7000 pounds, making them the 2nd largest Ice Age mammal in Eurasia. They originally evolved 3.7 million years ago on the grassy Tibetan Plateau, long before Ice Ages began to occur. When Ice Ages began to occur on a cyclical basis, woolly rhinos were able to expand their range across most of Eurasia. Some scientists have tied their extinction to the end of the Ice Age when the Mammoth Steppe habitat contracted. However, I disagree with this assessment because they originally evolved before Ice Ages began to occur, and they survived previous interglacial conditions. I do agree that their range contracted following the end of the last Ice Age but some steppe habitat remained as happened in previous interglacials. (Areas of Mongolia where wild and domestic horses and nomadic herders still thrive is an example of suitable steppe habitat capable of supporting woolly rhinos.) I propose the population of woolly rhinos living on relic steppe habitat after the end of the Ice Age were wiped out by men. If not for men, I believe woolly rhinos would still exist, ready to expand their range again upon commencement of the next Ice Age. I hypothesize a similar scenario for 2 other Eurasian species of Pleistocene rhinos. Merck’s rhino (Stephanorhinus kirchenbergensis). The background setting of the illustration is inaccurate. This species preferred temperate forest habitats. The narrow nosed rhino (S. hemitoechus) also lived in temperate regions of Eurasia but preferred meadows and prairies. Merck’s rhino lived in temperate forests from what’s now England east to Korea and from Germany and Poland south to Israel. It was adapted to eat forest vegetation. The narrow-nosed rhino lived over much of the same geographic range but was adapted to open grassland habitats, eating mostly grass. Both evolved from and replaced a common ancestor (S. hudsheimensis) that was adapted to eat both forest and grassland vegetation. The extinction of both species coincides with the beginning of the Last Glacial Maximum when forest and meadow were replaced by the arid Mammoth Steppe habitat. Relic habitat suitable for both temperate species of rhinos may have remained in southern Europe but relic populations of rhinos then were more vulnerable to human hunters. 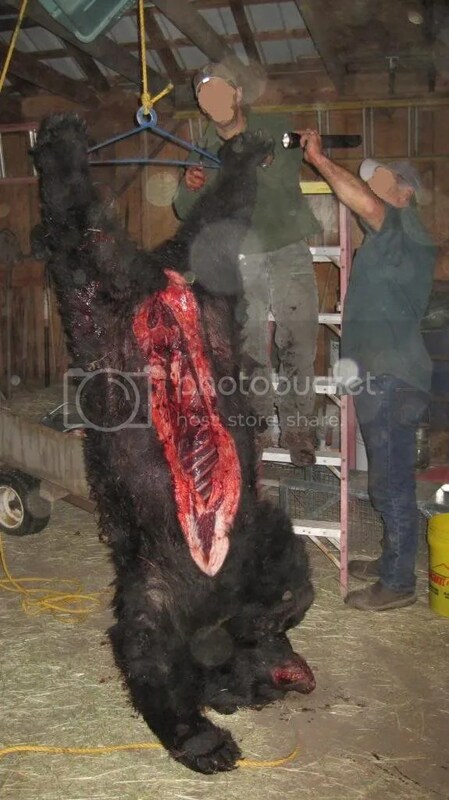 If not for man, I believe both of these species would have survived on these relic habitats and recolonized Europe following the end of the Ice Age. Climate change did cause the complete extinction of rhinos in North America before the Pleistocene began. North America was home to several species of rhinos during the Miocene. The hippo-like rhino (Teloeceras major) and the hornless rhino (Aphelops) were the most common large herbivores in America other than horses for about 20 million years. Their extinction coincides with the first Ice Ages that occurred at the beginning of the Pliocene ~5 million years ago. They may have been incapable of surviving frosts or changes in vegetation. So it is possible that Pleistocene Eurasian rhinos succumbed to changing climate, but man is a strong suspect in my opinion. In honor of Thanksgiving, the American holiday dedicated to gluttony, I offer this food-oriented essay. The great variety of organisms consumed by Creoles during the 19th century makes the Picayune Creole Cookbook an interesting one for naturalists as well as food historians. Today, turtles are a regional specialty but have gone out of culinary style for most of the United States. For 19th century Americans, turtle meat was an abundant and common source of protein. The Picayune Creole Cookbook gives recipes for green sea turtles and diamondback terrapins. Diamondback terrapin. Reportedly a delicacy. Diamondback terrapins live in saltmarshes all along the Atlantic coast from New England to Mexico. Like so many other animals, they were formerly abundant but today are rare due to human consumption and coastal development. I’ve never seen one. Turtles were cooked in soups and stews, giving me the impression the meat is tough. Turtle meat is not sold in stores around Augusta, Georgia and I’ve never eaten turtle. The sheepshead was the most popular and “versatile” fish used in New Orleans around the turn of the century. This species uses its human-like teeth to crush the shellfish that it feeds upon. This diet is probably what makes them taste so good. The teeth on a sheepshead look very human-like. They eat clams and the teeth crush the shells. The Picayune Creole cookbook also has 5 recipes for eel, 4 for stingray, and 6 for frog. Oddly enough, the only recipe for a freshwater fish species is for roe from green trout which is the name they used then for largemouth bass. Most of the fish recipes are for marine species including pompano, bluefish, flounder, red snapper, red drum, and croaker. One of the most interesting dishes in the book is Pigeon a la cardinale, known also as pigeon and crawfish–a combination I bet not a single person in the world will eat for supper tonight. The dish calls for baking 3 pigeons between layers of bacon in a pan filled with beef broth and onions. The crawfish are boiled separately. After the pigeons and crawfish are done cooking, a little of the crawfish boil water is added to the beef broth and the pigeons are garnished with the crawfish. The authors of the cookbook differentiate between domestic and wild pigeons. The availability of passenger pigeons at the market was still a recent memory when they were compiling the recipes for this book. The Picayune Creole Cookbook states that the pigeon and crawfish dish is “Creole to the letter.” Now this dish is almost unheard of. The above photo is the closest match I could find on google images. It’s a roasted pigeon served with crawfish tails, softshelled crab, and vegetables, but not with bacon and a gravy made from pigeon, beef, and crawfish broth. Passenger pigeons and crawfish were at one time both abundant, making pigeons and crawfish a practical dish. Now, it’s not at all economical to make. The canvasback duck (Nyoca vallosneria) was praised as the best-eating waterfowl because it ate wild celery (Vallosneria spiralis). Some ducks eat a lot of fish, but canvasbacks are mostly vegetarian. This diet gives their a flesh a savory quality. They were simply seasoned with salt, pepper, and lemon juice and broiled quickly. Male and female canvasback ducks–reportedly the best tasting of all ducks. Duck is one of my favorite foods. The bobolink (Dolichonyx oryzivorous) known as the reedbird in the Picayune Creole Cookbook, apparently was common table fair when in season. The second part of its scientific name means rice-devourer. It still is a pest for rice farmers. Creoles shot these members of the blackbird family to protect their rice fields. It only takes 5 minutes to broil small birds such as bobolinks (robins and larks were also prepared this way). I’ve never eaten a bird smaller than a quail. It takes at least 2 quail to equal the amount of meat from about 1/4th of a chicken. It probably takes about 4 bobolinks to equal 1/4th of a chicken. The bobolink, also known as the rice bird. It’s a pest to rice farmers and table fair for Creoles. It took me a while to figure out what a pababotte was. I’ve determined that the pababotte discussed in the Picayune Creole Cookbook is probably the upland sandpiper (Bartramia longicauda). The upland sandpiper is a denizen of the prairie. Fossil specimens of this species were discovered at Kingston Saltpeter Cave in Georgia and Bell Cave in Alabama. Both localities are in a region where upland sandpipers are absent today aside from an occasional vagrant. This is evidence that small pockets of prairie existed within the mostly forested region of the upper south during the late Pleistocene. Upland sandpipers were once an abundant bird but overhunting and agriculture have greatly reduced their numbers. J.J. Audubon witnessed 48,000 upland sandpipers killed in a single day by a group of hunters in 1810. Creoles serve them stuffed and braised, roasted, or broiled. Upland sandpipers were more widespread during the Ice Age. Until 1861 an old French woman produced Fois Gras in New Orleans. She raised geese in small cages. She kept their feet nailed to the cage floor and force fed them to enlarge their livers. I’m sure the enlarged livers are rich and delicious, but the practice seems cruel and wasteful–the rest of the meat is flabby and unfit for eating. Raising geese for Fois Gras is illegal in the U.S. today. There are many recipes in the Picayune Creole Cookbook that don’t require extinct or rare animals to make. One of the best I’ve tried is a soup made out of beef ribs, corn, and tomatoes. I could live on lentil salad–a simple recipe of lentils tossed in a vinegarette. The gumbo recipes from the book use less roux than most modern gumbos and instead are thickened with powdered sassafras leaves or okra. A gumbo made out of a leftover turkey carcass is an excellent example of frugality but I prefere a more roux-heavy version. There are 7 recipes for different types of sausages, and I’ve made several, though in the shape of hamburger patties rather than links stuffed in casings. For the home cook I think this book is still useful and will never go out of date. Early European colonists reported seeing flocks of wild turkeys numbering in the hundreds. Turkeys flock together in the fall when they concentrate in areas abundant with such favored foods as acorns and grapes. The hens and their young stay in separate flocks from the adult toms because the latter will peck the juvenile toms to death on sight. In late winter and early spring the adult toms battle each other for the right to mate with the hens, and these battles also can sometimes cause fatalities. The champion turkeys get to mate with several hens. By mid-spring the hens leave the toms and lay as many as 20 eggs in cleverly concealed spots that they cover with leaves. J.J. Audubon wrote the hens “…separate themselves, in order to save the eggs from the male, who would break them all, for the purpose of protacting his sexual enjoyments.” The hatchlings follow the mother around and grow quickly on a diet of insects, arthropods, small vertebrates, grass, and fruit; so that by mid-summer they’re capable of escaping predators more often than not. Two tom turkeys (Meleagris gallopavo). Turkeys were common across most of North America during the Pleistocene. There also were two now extinct species of turkey restricted to the southwest and California. The oscellated turkey (Meleagris gallopavo), the only other extant species of turkey besides the eastern turkeys pictured above. It resembles a peacock. Turkeys evolved from an ancient species of peacock that crossed the Bering landbridge 30 million years ago. Today, there are only 2 species of turkeys–the eastern turkey (Meleagris gallopavo) which lives over a wide swath of varied habitats in North America, and the oscellated turkey (Meleagris oscellata) which is restricted to the Yucatan penninsula in Mexico. During the Pleistocene there were 2 additional species of turkeys though they were much more localized in distribution than the eastern turkey. The southwestern turkey (Meleagris crassipes) lived in Arizona and New Mexico. The California turkey (Meleagris californicus) lived in southern California. The California turkey left more fossils at the La Brea tar pits than any other species of bird other than the golden eagle. Scientists believe the turkeys scratched the surface away from the top of tar seeps, and the weight of the birds caused them to become mired in the tar. Turkeys can weigh up to 50 pounds. As of 2006, 11,116 specimens from at least 791 individual turkeys had been found in the tar pits. Golden eagles attacking prey stuck in the tar pits became entrapped in turn, explaining the abundance of golden eagle specimens here. Turkeys were probably a common item in the diet of the eagles. Range map of the eastern turkey colored purple. The yellow is the estimated range of the Pleistocene California turkey. Eastern turkeys have been introduced to California and other areas of the arid west where in some areas they depend upon manmade water sources for survival. Anatomical evidence suggests California turkeys evolved from eastern turkeys, probably after the 2 ancestral populations became geographically separated when the territory between them became desert. Turkeys require trees for roosting and a daily water supply, so desert habitats are unsuitable for them. 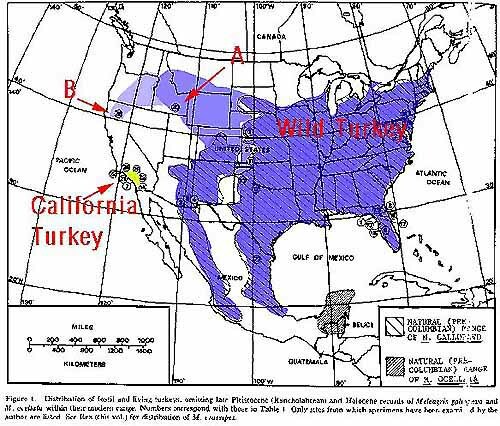 The extinction of the California turkey and the southwestern turkey can be blamed on a combination of environmental and anthropogenic factors. The extinctions coincide with a dry phase of climate that lasted for hundreds of years and began about 11,500 BP. However, scientists noted the 2 species survived an even drier period that occurred ~38,000 BP. The scientists authoring the below referenced study suggest California turkeys flocked around shrinking sources of water where they were completely rubbed out by paleoindians. If not for man, these 2 extinct species of turkeys would likely still be extant. Trees and bodies of water have always been abundant in eastern North America, explaining why eastern turkeys survived man’s onslaught, until Europeans raped the environment and almost drove them into extinction too before modern conservation practices saved them. David Steadman, one of the world’s foremost experts on Cenozoic bird evolution, thinks turkeys share a common ancestry with the peacock based on anatomical similarities. He believes a peacock-like fowl crossed the Bering landbridge ~30 million years ago, and all subsequent turkey species were descendent from this species. A fossil species, Rhegimornis calbates, dating to the early Miocene, had anatomical characteristics intermediate between the turkey and the peacock. Remains of Rhegimornis were found in Florida. The modern turkey probably evolved by late in the Pliocene–~2.5 million years BP. Fossils of Pleistocene-aged turkeys have been found in Georgia from Ladds and Kingston Saltpeter Cave. Turkeys evolved from a peacock-like ancestor that crossed the Bering landbridge ~30 million years ago. Scientists have no concrete way of determining whether changes in the climate are due to natural or manmade causes. This would require the existence of a control earth in a parallel universe where man never evolved. Scientists could then compare the climates and temperatures of the 2 worlds to see what the differences would be. Because a control earth doesn’t exist, scientists must concoct models using knowledge of the known natural variations of earth’s paleoclimate. The models estimate what average temperatures and CO2 concentrations should be due to natural forcing. Scientists use these models and compare them with actual observed data. According to the almost unanimous consensus among climate scientists, earth’s climate is now warming due to both natural forcing and manmade production of greenhouse gases through the burning of fossil fuels. However, earth is currently in an unusual point of a 400,000 year cycle of orbital geometry that complicates climate scientist’s models and makes it even more difficult to discern the difference between natural and anthropogenic influence on the present day’s climate. Illustration of earth’s orbital geometry. During Ice Ages earth’s orbit is more elliptical in shape, reducing the amount of solar radiation it receives. During Interglacials earth’s orbit is more round. On a 400,000 year cycle earth goes into a prolonged period of time in a round orbit. During the Stagell Interglacial (~420,000 BP-~395,000 BP) earth was in a prolonged round orbit. Earth’s orbital geometry for the past 11,000 years has been similar to the orbit that earth was in during the Stagell Interglacial, suggesting we will remain within an interglacial for tens of thousands of years with or without the influence of anthropogenic greenhouse gases. Natural variations in earth’s climate are triggered by the Milankovitch cycles. The gravitational pull of Jupiter and Saturn causes eccentricities in earth’s orbit. During Ice Ages, earth’s orbit is more elliptical in shape reducing the amount of solar heat reaching earth. The orbit of earth is more round during interglacials. This variation in earth’s orbit goes through 100,000 year cycles. The degree of earth’s tilt also varies but on a 41,000 year cycle. The gravitational pull of moon and sun causes this variation in earth’s tilt. The 23,000 year cycle of earth’s precession is a third influence on the amount of solar heat (insolation) reaching earth. Precession is the time of year when either the southern or northern hemisphere is closest (perihelion) or farthest (apehelion) from the sun. All of these cycles cause the amount of insolation reaching the earth to vary slightly, but over long periods of time these small differences trigger the alternating cycles of cold Ice Ages and warm Interglacials. Formerly, scientists thought Interglacial periods lasted on average 10,000 years while Ice Ages lasted for 100,000 years. More recent evidence suggests Interglacials average between 15,000-20,000 years. However, every 400,000 years, earth enters a prolonged period of time within a round orbit, resulting in a much longer interglacial. The Stagell Interglacial, known as the Hoxnian in Europe, occurred from ~420,000 BP-~395,000 BP when earth was in this prolonged round orbit. Some scientists estimate it lasted even longer from ~423,000 BP-~362,000 BP. The present day Interglacial, the Holocene, began about 11,000 years ago. The earth is currently in a similar orbital geometry as it was during the Stagell Interglacial, meaning we are not even halfway through the present day interglacial. Scientists are studying the Stagell Interglacial to predict what earth’s climate will be like in the future, specifically the next 50,000 years. Some climate models suggest that because of the current unique orbital geometry, earth won’t shift into an Ice Age again for another 40,000 years. The models predict a complete melting of the northern Ice Cap 30,000 years in the future, but if modern anthropogenic factors are considered, the northern Ice Cap will collapse in less than 200 years. Chart of the past 600,000 years showing fluctuating carbon dioxide levels. Higher carbon dioxide levels are correlated with higher temperatures. The Stagell Interglacial is scientifically known as Marine Isotope Stage 11 (MIS 11). Note the length compared to other Interglacials. Interglacials are odd numbers. MIS 3 isn’t labeled on the chart and was an interstadial (a briefer warming period) rather than a full blown interglacial. One of the ways scientists determine past climates is by taking cores at the bottom of the ocean. The core layers are radiometrically dated, and fossils of microscopic organisms known as foraminifera are examined and analyzed. The various species of foraminifera live within strict temperatures ranges, so a general idea of the temperatures at the time of their deposition can be assumed simply based on species composition. However, exact average annual temperatures can even be determined based on the chemical isotopic compositions of the fossil foraminifera shells, thus the name–Marine Isotope Stages. The Gubik geological formation along the coast of northwest Alaska provides evidence of high marine transgressions dating all the way back to the Pliocene. One of these layers includes a high sea stand from the Stagell Interglacial that was 23 meters above modern sea level. A species of ostracod. Fossilized ostracods found in layered sediment on the sea bottom provide paleoclimatic data based on species and chemical isotopic composition. Devil’s Hole, a cave in southern Nevada. Calcite veins below the water table here provide radiometrically datable isotopic evidence of past climates going back 800,000 years. It was evidence from this site that initially showed the Stagell interglacial was much longer than the average warm period. Evidence from this site also created a dilemma for scientists’ assumptions about the Milankovitch cycles. Isaac Winograd determined from data found here that interglacials were twice as long as previously thought. Some scientists think this evidence still supports the theory that Milankovtich cycles cause the alternating cycles between warm and cold stages, while others think the data is not consistent with and therefore debunks the theory. Some of the best evidence of the Stagell Interglacial comes from the Gubik formation in northwest Alaska where in some places remnants of 6 former marine highstands, including layered fossil shorelines and barrier islands, are found superimposed (conveniently for geologists) from youngest to oldest. The marine highstand dating to the Stagell Interglacial is 23 meters above sea level, evidence of just how much polar ice must have melted. 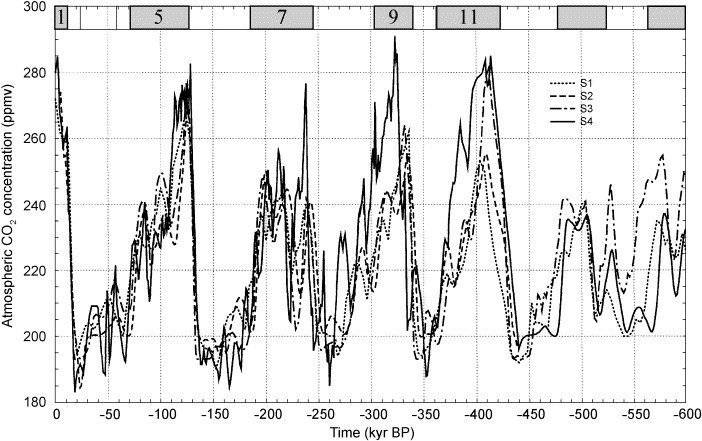 Studies of average annual temperatures during the Stagell Interglacial are contradictory. Some studies suggest it was warmer than other interglacials, while others seem to indicate that though it was longer, it was not as warm as other interglacials. Evidence found at the bottom of the ocean is stark and dramatic. The Ice Age preceding the Stagell, known as Marine Isotope Stage 12, was a particularly cold one–it left a record amount of debris carried by icebergs during meltwater pulses. (Rocks are carried by icebergs out to sea. Icebergs break off glaciers during minor warm phases within Ice Ages and carry debris in events referred to as “ice rafting.” Eventually the icebergs melt and drop this debris, known as drop stones, in visible piles at the bottom of the ocean.) But during the next 23,000 years during the Stagell Interglacial, ice rafting debris is almost completely absent. This suggests the glaciers and ice caps in the northern hemisphere were completely or seasonally absent then. The northern hemisphere ice caps may have completely collapsed during the most recent interglacial previous to the one we live in now. The Sangamonian Interglacial (~132,000 BP-~118,000 BP) reached modern day temperatures by ~132,000 BP and kept getting warmer until 130,000 BP. The highest sea level transgression occurred by ~125,000 BP. Unlike during the Stagell Interglacial, however, ice began to reform and grow back rapidly as earth’s orbit returned to a more elliptical geometry. During the Stagell Interglacial most of southeastern North America was probably covered in forest, though paleobotanical evidence from this period of time is scare, if it exists at all. A Late Irvingtonian Land Mammal Age fauna was present. It was similar in species composition to the later Rancholabrean Land Mammal Age with the exception of bison which hadn’t crossed the Bering land bridge yet. Mastodon, deer, peccary, llamas, horses, tapirs, Armbruster’s wolves, and jaguars were likely common. Ancestral forms of saber-tooths and ground sloths (Smilodon gracilis and Megalonyx whealeyi respectively) lived in the region then. Giant tortoises must have been pretty widespread in the mild climate as well. Carbon dioxide levels during the Sangamonian Interglacial were higher than those of the Holocene until the 20th century when man’s burning of fossil fuels artifically pushed CO2 levels above even Sangamonian levels. Carbon dioxide doesn’t cause higher temperatures. Instead it usually lags natural temperature increases by thousands of years. But it is correlated with temperature increases, and scientists believe it magnifies them in some kind of poorly understood feedback mechanism. Of course, it isn’t up to me, but I think humans need to stop treating earth’s atmosphere like it’s some kind of gigantic chemistry experiment before mankind creates yet another ecological catastrophe. Both of these references are available online as pdf. You can find them easily with a google search. The North American porcupine has an odd biogeographical history. It evolved from a tropical family of rodents originating in South America. This family includes 15 species of porcupines found only in warm frost-free climates. But as the present day range map shows, the North American porcupine is restricted to regions with cooler climates and is conspicuously absent from the southeast. North American porcupine with young. They mostly eat wood–the cambium layer just under the bark. Present day range map of the porcupine. Note that it is absent from regions with long hot summers, despite evolving from a tropical family of rodents. During the Pleistocene, porcupines did inhabit the southeast. Fossil hunters have unearthed porcupine specimens from several sites in Florida, and a porcupine jaw with teeth washed up on Edisto Beach, South Carolina where late Pleistocene fossils are commonly found. Fossil porcupine teeth have been found in at least 2 other sites in that state as well. Ice Age Florida had a similar composition of tree species as present day Florida, so it seems strange that this tree-dwelling rodent no longer lives in the region. Porcupines mostly eat tree cambium as well as pine needles, tree leaves, and other arboreal vegetation. There’s no shortage of suitable porcupine food in the southeast. I think the best explanation for their present day absence in the south is the extreme summertime heat. The high summer temperatures either directly stress porcupine physiology or make them susceptible to some types of diseases carried by insects or parasites that need longer summers. Average summer temperatures in the southeast during Ice Ages were significantly cooler than those of today, though winter temperatures were only slightly cooler. Porcupines are less common in the southern parts of their range, suggesting they thrive better in cooler temperatures–the opposite of their closest relatives which can’t survive freezing tempertures. Perhaps, the loss of the capability to live in warmer climates is a recent ecological development that occurred with the proliferation of some kind of parasite. The North American porcupine probably evolved from a poorly known extinct species–Coendou intermedia. Fossils of Coendou intermedia were excavated from caves in West Virginia and date to ~500,000 BP. It has characteristics intermediate between the North American porcupine (Erethizon dorsatum) and the Brazilian prehensile-tailed procupine (Coendou prehensilis). The Brazilian prehensile-tailed porcupine. It’s the closest living relative to the North American porcupine. It’s entirely adapted for living in trees, unlike the North American porcupine which spends part of its time on the ground as well as in trees. The pictured species can hang from a tree with just its tail. North and South American porcupines are not closely related to African and Asian porcupines. It’s an example of convergent evolution that both families evolved defensive quill-like hairs. New World species of porcupines are arboreal; old world porcupines are terrestrial and dig deep burrows in the ground–a big difference in general behavior. American porcupines belong to a family of South American rodents known as the caviomorphs which also includes capybaras, agoutis, pacas, chinchillas, and nutrias. Genetic and fossil evidence suggests the caviomorphs and New World monkeys accidentally rafted on storm-created debris from Africa approximately 41 million years ago during the Ecoene era when the 2 continents were much closer than they are today. The great diversity of caviomorph and monkey species in South America today probably are descendent from just a handful of species that somehow survived a transatlantic journey on a mass of driftwood. Map of earth during the Eocene. Africa and South America were much closer together then, allowing the ancestors of today’s species of South American rodents and monkeys to accidentally raft across from the former continent and establish new populations and species. The North American porcupine and the nutria are the only species descendent from this colonization now present north of the Rio Grande, but capybaras formerly lived in southeastern North America too. In addition to porcupines, 2 species of capybaras inhabited southeastern North America during the Pleistocene. After porcupines became extirpated here following the end of the Ice Age, and capybaras were driven to extinction (probably from human overhunting) caviomorphs were absent from the region. But thanks to the introduction of the nutria, a caviomorph once again resides in the south. You are currently browsing the GeorgiaBeforePeople blog archives for November, 2012.